The left’s hatred of Donald Trump knows no bounds. They can’t help but assume the worst about everything he does, including hosting college football’s national champions, the Clemson Tigers. But Clemson’s star quarterback set the record straight about the team’s White House visit. At this point, leftists are desperate to land blows on Trump. A study showed that over 90% of network news coverage of Trump is negative, and it’s getting even worse. It seems as though every single mainstream media outlet has had to retract or correct a story regarding Trump and his associates, but the corrections always go in one direction. They spun a negative narrative about Trump and his administration, then they had to backtrack. Sometimes they backtrack within the original story. For example, The New York Times wrote a story about the lavish curtains in former UN Ambassador Nikki Haley’s home, framing her as someone soaking the taxpayers to live high on the hog. But buried in the piece was the fact that the Obama administration picked out the curtains. CNN had to cut loose reporters who were caught propagating fake news. Lately, CNN is so desperate for negative news about Trump, they ignored journalists in San Diego who were willing to speak to the network about their belief that the city’s border wall is effective. This is the sewer that is the political media landscape. And the sewer runs deeper than imagined. Case in point, the Clemson Tigers’ White House visit. 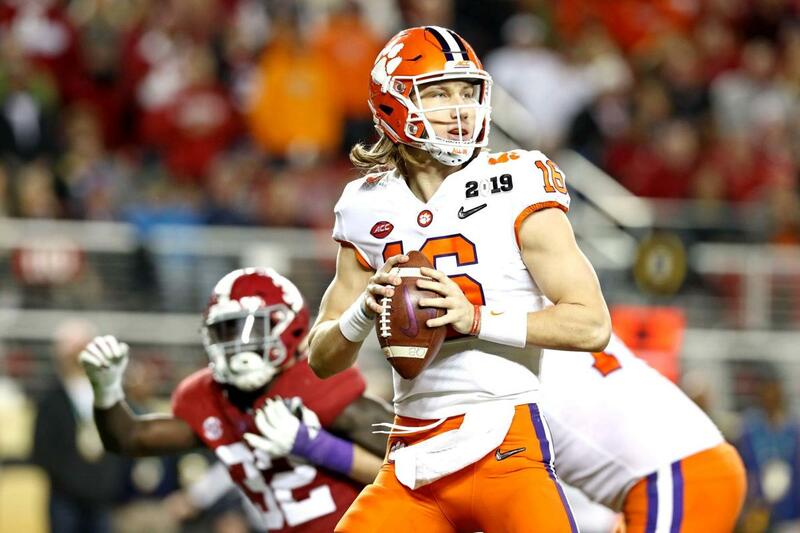 The Tigers dethroned the Alabama Crimson Tide as college football’s reigning national champions. Two years ago, Clemson visited the White House, coincidentally after defeating Alabama, and the team had a blast. There were no ridiculous protests or boycotts, which is common among professional teams. This year, the Tigers visited again without incident, but the media was dead-set on finding something wrong. Trump treated the team to a buffet of hamburgers and pizza. A few years ago, Clemson started a tradition of throwing a pizza party to celebrate their inclusion in the four-team college football playoff, so assuredly appreciated the fast-food spread. However, the media ripped Trump’s move, saying he demeaned the White House. Mainstream media fact checkers harped on Trump’s “inaccurate” use of hyperbole when he said the hamburgers were stacked a mile high. However, there’s video of the players stacking their plates high with burgers, and they took to social media to express their enjoyment of the visit. The mainstream media gets furious at the term “fake news,” but it’s hard to take them seriously when they turn hamburgers into a controversy. Something similar happened when the Houston Astros visited the White House last year. League MVP Jose Altuve was photographed with a stoic look on his face, but the media tried to suggest Altuve was scowling at Trump as he spoke. Altuve said he had a serious look on his face because he was paying attention to the President speaking, then posted pictures on Twitter where he was smiling. If the media only covered Trump fairly, they would have greater trust with the American people.